Wow, what a voice. So much talent, honed by obvious practice, skill and experience. Can’t wait to see where Serena Ryder goes next. It’s great to see someone doing what they were meant to do, for now anyway…. OK, this DIY paper iPhone stand is pretty cool. You can download the PDF there, print it out, put your Xacto knife to work, and voila! 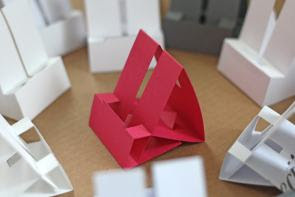 Here’s a video showing how to construct your paper iPhone stand. Wow. What a nice find this wine was. We drank it in our backyard on a beautiful late summer day, well-chilled in an ice bucket. Wonderfully refreshing, with a great start and finish. Nice balanced fruitiness — not too much. A just right wine, all-around. A. liked it a lot too. Paid something around $15 for it at LCBO. Case-worthy.